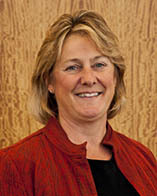 The Bowling Green Area Chamber of Commerce is pleased to announce that Dr. Sue Parrigin is the winner of the 2012 ATHENA Award. She received the award during a news conference today at the Martin Dodge Jeep Chrysler Showroom. Martin Management Group sponsors the ATHENA Award.